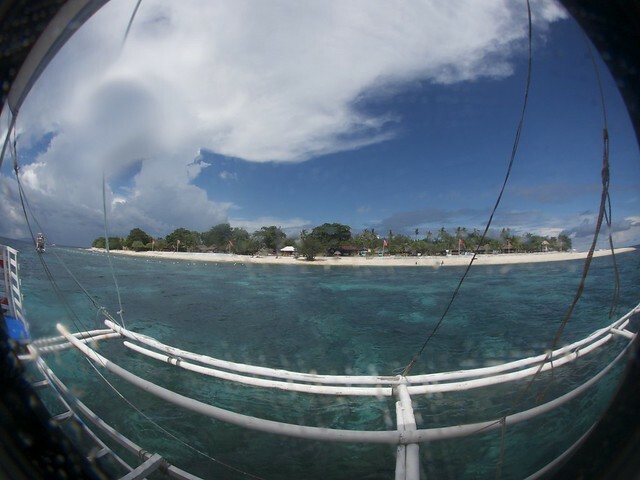 Balicasag is a 25-hectare small island 4 km southwest of Panglao. It houses 200 families and the Philippine Tourism Authority operates a 20 rooms resort on a 1.5-hectare area–the Balicasag Island Dive Resort. We were hosted by the PTA for one night and dove around the island for 2 days. 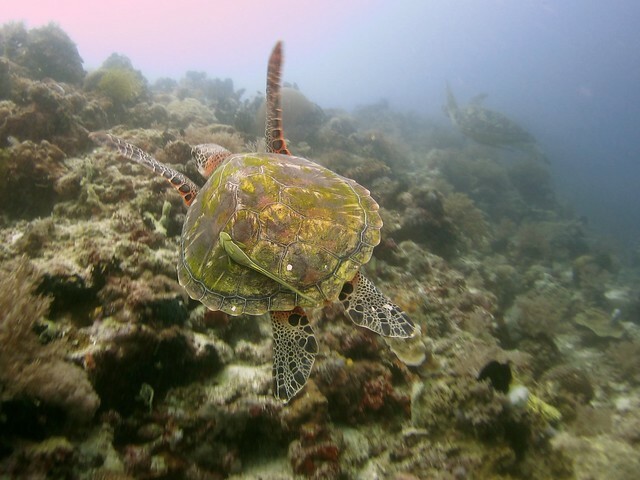 It is one of the best destination for scuba diving in the Philippines and I remember the school of jacks, mackerels, turtles, beautiful bed of corals, and the electric diving when I dove Bohol in 2009. What I forgot is the coral cliff that stretches all the way to forever, which I really love. It gave me a quick flashback of Tubbataha diving. 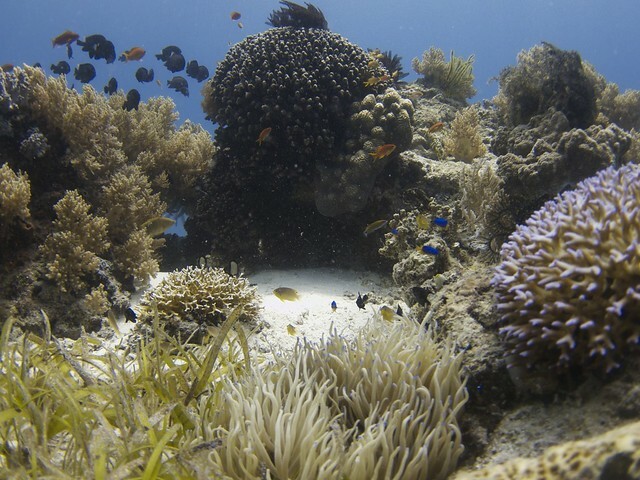 It’s teeming with marine life and the underwater scenery is just beautiful. Of course, Bob and Gutsy recall how the marine life were much richer when they dove here 10-15 years ago. Bob said that this was called the Mantas Island and whale shark sightings were not uncommon. Conservation efforts are being made but hadn’t arrive where they want to be yet. 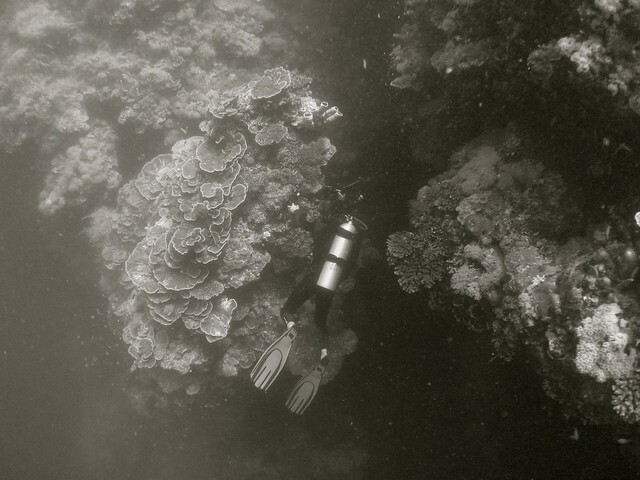 Part of the coral reef, the area where a platform of hard corals lies as shallow as 4 meters had been declared as marine sanctuary. 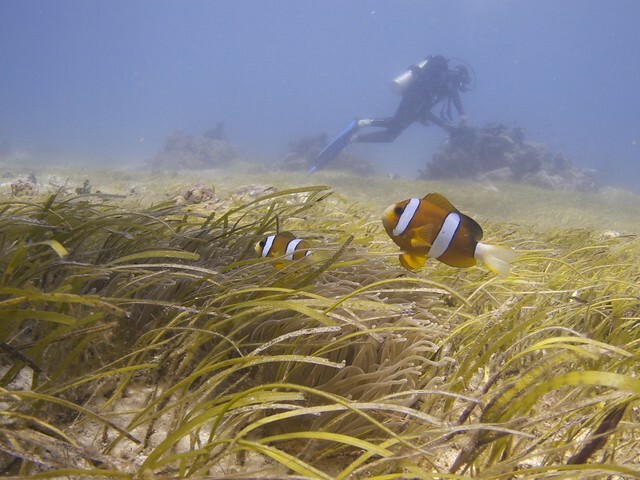 A portion of the beach is designated for snorkelers to avoid massive destruction of them stepping on corals. Sadly though we found fish traps near the sanctuary about 8 meters below. Gutsy got permission to cut the traps and did so the following dive. While we were there, the resort manager told us that there’s an ongoing forum with the local government to address the concerns of everyone–environmentalists, resort owners, fishermen. Hopefully they find solution that benefits all. I would really love to see the whole island of Balicasag be declared a sanctuary instead of just a portion. the best experience for me, snorkeling in beautiful balicasag underworld! I agree with you Lil, I really hope they turn the whole island into a sanctuary as soon as possible. Although I’m not into diving yet, it’s one of the top places on my list where I enjoyed snorkelling the most. Yes, like Apo Island in Dumaguete. Whoa! Crush ko yung Turtle with Remora!